11 Therefore encourage one another and build up each other, just as you are in fact doing. Sometimes we just need a little encouragement from one another. Just thought i would post a reminder to myself. I sometimes forget that we can help uplift each other. In case you are in a slump, down, or just want to hear something positive, here are some words to help you make it through another day. We all need a little push to help us brave the day. There are days that are better than others. On those other days where we struggle a bit, it is good to hear positive and uplifting words. We are human. We make mistakes. We stumble. We sin. We get down. Keep your eyes on God and Jesus and watch your day turn into a most beautiful experience. Live life today with God holding your hand. Breath in your surroundings and remember that every sense in us lives with him. Don’t forget that Jesus is here, always, waiting on us. When you see a rainbow, remember God’s covenant. When you feel the breeze, that is God whispering loving words in your ear. It helped me. I hope it helped you, too. Categories: god, gods heart, love, love in our hearts | Tags: Christ, christianity, God, Gospel, Jesus, Lamb of God (band), Light of the World | Permalink. Good morning, two words in our vocabulary that have multiple meaning and many implications. Together, they are used as a statement of common courtesy and an implication of politeness. It is used as a greeting, or as a statement of our day’s expectations. I love hearing my grandson say good morning, grandma. He always smiles when he says it. At only four years old, he understands the meaning. Good morning is a wish that we make towards the person we say it to. It is a statement intended to make the person feel good, otherwise, why would we accompany it with a smile? How nice is it to walk about, and someone that walks by, smiles, and says good morning. It makes me feel good, I am sure it makes you feel good, too. As life passes by, sometimes we forget that the little details mean so much. In days of old, men, gallantly tipped their hat, and women nodded their head as they passed by each other. People acknowledged each other and affirmed their presence. In today’s society, few still say good morning. Most walk by, and avoid each other like the plague. I have seen people go out of their way to make sure no visual contact was established. I believe we have been taught courtesy and politeness, but why do some practice it? Why, some do not? The decadence of courtesy, manners, and politeness is visible in today’s societies. A common behavior previously practiced, is vaporizing in front of our eyes. Are we so preoccupied with technology, gadgets, and electronics that we have forgotten social interaction? Social media does a great job at keeping up with each other, but it is not a substitute for our daily human interaction. Positive human interaction provokes emotional reactions that when acted upon can bring feelings of acknowledgement, validation, meaning, and acceptance. Maybe if we do it more often, we can change the decadence into increase. Negative human interaction provokes emotional reactions that when acted upon bring feelings of invisibility, degradation and alienation. The continuous exposure to negative interaction eventually contributes to the decadence of courtesy, manners, and politeness. Take a step for the better and put your two cents in. Help change the decadence into increase. Take a second. If someone walks by, acknowledge, validate, and give him or her a little meaning. Tip your hat, nod you head, smile and while you are at it let the words flow out. You may never know if the person you acknowledged needed validation. You may never know if the person you spoke to needed to feel accepted. You may never know if the person you said good morning to needed a little meaning in their life. You may never know if your words made a difference. Even if you never know what significance your words had, the person you validated, made feel accepted or gave a little meaning in their life, does know, and that makes all the difference. Categories: love in our hearts | Tags: christianity, family, Social relation | Permalink. I was sitting at the computer working on my blogs when I realized it has been quite an eventful beginning of the year. I realized that now I have regular readers to my blogs and they look forward to my posts. That is quite a notion. I never thought that my humble blogs would be want to be read. Imagine!!!! 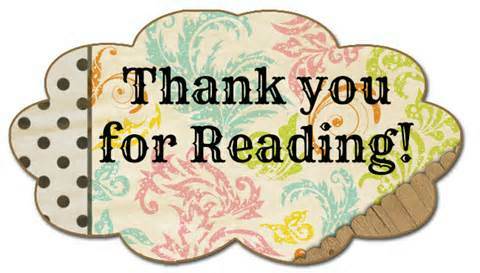 Therefore, today, I dedicate this post to you, my reader. First, let me start with THANK YOU!!! for taking the time to stop by day after day and reading. Second, I want to let you know that you are the reason I write. Last, you fill me with encouragement. The Bible is a book to be shared with all, we are vessels of delivery of its inspiration, message of love, and words of wisdom. It encourages us to be humanitarian, brings the best of us to light, and teaches like a manual how to do the right thing. It is a book that we read and pray to God for its understanding. It is not a book to be interpreted to appease our thoughts, but to give us insight on our daily lives, how to conduct ourselves, how to live a Christian life, but furthermore, how to gain eternal salvation. I follow this book in my writings. I do not formulate or recreate my opinions, yet put the words inspired by God into written form. They are words from the heart, guided by the Holy Spirit in all respect to the voice of our Savior. Today, I pray to God to continue putting His teachings into words for all your eyes to see. Categories: love in our hearts, time for God | Tags: Bible, Christ, God, Gospel of Matthew, Holy Spirit, Jesus, NLT (band) | Permalink. I have heard that the “eyes are the windows to our soul.” It is believed that when someone looks deep in our eyes they can see our soul. However, what is our soul? The soul is the spirit or essence that is within each of us. Is that part of us that lives on beyond death. It carries all of our burdens, happy thoughts, despairs, accomplishments, and hopefully, all the beautiful memories that we made here on Earth. Maybe, when someone looks into our eyes, they can see a part of our life that is already transcribed and imprinted within the soul. Of course, these are speculations on my behalf, but nevertheless provoking thoughts that could allow us to be happy about what we end up taking with us in our final day on Earth. 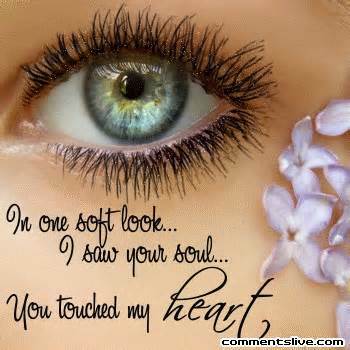 I looked into the eyes of the man I love, and I could see his kindness, love, gentleness, and believe it or not, I saw my home in his eyes. Not a physical home, but a home for my soul to rest along his, to hold hands with his, and to share new memories together. I believe that his eyes foretold our love, our friendship, and our union. I love to look into his deep blue eyes. They have a calming effect during a stormy day, a relaxing look that lets my senses know that everything is alright. How wonderful? How magnificent? To love and see love in the windows of my better-half’s eyes. Maybe it is true love, maybe it is wishful thinking, but for know, I will take it for what it is. Categories: love, love in our hearts | Tags: God, Gospel of Matthew, soul, windows to the soul | Permalink. I was driving my daughter to work this morning, and realized that our past, not a beautiful one, has left a tear in my heart. A reminder that no matter how much I try to forget about it, little things pop up now and then that brings it front and center. We have been to hell and back, so goes the saying. However, we are survivors. We are survivors in a cruel world where innocence is taken away, one day at a time. I remember being young, filled with hope, and very, very naive. I grew up in a home with a father so wonderful, I thought everyone was the same. The reality hit me, literally, in the face. I became the punching bag, the rage taker, the abuse victim. I remember thinking that I would not live to see another day. Yet, here I am. The experiences I suffered have left a tear in my heart, in my soul, and my mind. It is but a gentle reminder that I have come a long way. That no matter how dark it is, there is a bit of light as the road continues. That when all is silence, a beautiful melody will surface. When my voice feels silent, my words will take over and express how I feel. That when I write how I feel, someone will read and relate. Categories: gods heart, love in our hearts | Tags: accept god, accept jesus, Bible, Biblical inspiration, christianity, God, make time for God, perseverance, verse of the day | Permalink. Ever said aloud, “I hate ……” then felt guilty for even saying it. I have. Just saying the word fills me with guilt, shame, and remorse. How can I, blatantly, say that word, yet profess to love God? Exactly!!! Once we have the love of God in our hearts, it is hard to be mean, say hateful words, or be disgruntled. On the other hand, maybe, we can. However, with God’s love, guidance of the Holy Spirit, and a humble heart, the correction of our actions it is immediate. God’s love resides in each of us who believe in him, who trust him, who seek him. Within us are his teachings that help us lead a better life and strive to be an example to others. 8 The person who does not love does not know God, because God is love. 14 Everything you do should be done in love. As we go through life, the Holy Spirit guides us. It teaches us to love, to do right by others, and to follow God’s example. 25 If we live by the Spirit, let us also behave in accordance with the Spirit. 26 Let us not become conceited, provoking one another, being jealous of one another. 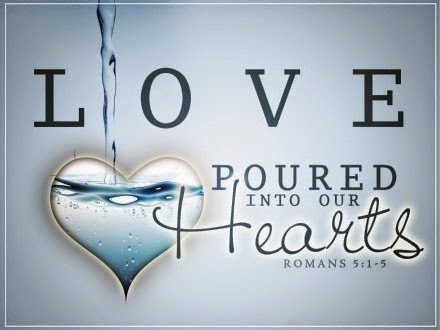 As God’s love resides within us and his Holy Spirit guides us, our hearts become humble, tender, and loving. We allow it to love all that surround us. A humble heart cannot hate. It cannot, intentionally, hurt others. If we do, we are, immediately, reminded of what we have done. We do not feel pride by demeaning others, or stepping over them. On the contrary, we place ourselves at their mercy. 9 May he show the humble what is right! May he teach the humble his way! 19 I will give them one heart and I will put a new spirit within them; I will remove the hearts of stone from their bodies and I will give them tender hearts. Categories: god, gods heart, guidance, humble, love, love in our hearts | Permalink.